Thank you for your interest in Mean Green Mowers! EARN REWARDS and COLD HARD CASH! At Mean Green Mowers, we understand the value of your opinion. You have worked hard to support the pursuit of a cleaner, quieter environment. You’re a first adopter and you believe in pushing the envelope of the new era, powerful, high technology world of electric vehicles, machines, and even outdoor power equipment. You understand the advantages of electric mowers with zero emissions, zero gas, low maintenance, and low noise pollution. 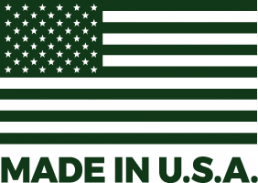 You are a believer that “Made in America” is more than a just saying, it is a value statement. We value your opinion. Good reputations are built on word of mouth and we sincerely appreciate your enthusiasm and willingness to share yours on our behalf. The Mean Green Mowers Referral Program is our way to reward you and recognize your efforts recommending our mowers and equipment to friends and colleagues. We want to thank you for supporting Mean Green Mowers and for growing the clean, electric outdoor power equipment community. Introduce someone you know to Mean Green Mowers and enjoy the rewards when they place an order for a new Mean Green Mower and embark on their own powerful, clean energy mowing lifestyle. At Mower Order, you will receive 30 Mean Green Bucks**** good towards anything in the Mean Green Mowers gift store, online or in person! Rewards include hats, T-shirts, sweatshirts, bottle openers, cups, koozies, and other fun items. You don’t yet own a Mean Green Mower, but you love the idea and you want to spread the word! You made the commitment, purchased a Mean Green Mower, and now you want to spread the word! When you share your love and enthusiasm for Mean Green Mowers we can tell. In interviews with first-time buyers, we hear it all the time; what brought them to Mean Green Mowers in the first place was the recommendation from someone whose opinion they valued. Thank you for making us what we are today. * The Mean Green Mowers Referral Program applies only toward first time mower purchase and does not apply to “fleet” or multiple product purchases from the same entity. Once a referred or previously contacted name is recorded, no identical referred names will be added to the referral list – reward only subject to initial referrer. Any sales employees, Manufacturer Representatives, or Dealer/Service Center sales reps of Mean Green Products, LLC are ineligible for the referral program cash or rewards. ** Offer may be combined with published discounts only. No other incentives apply. Contact Mean Green Mowers for specific rules and processes. *** In a calendar year. Mean Green Mowers reserves the right to modify this offer with or without notice. **** Each of your Mean Green Bucks are retail valued at $1 towards the purchase of Mean Green Mowers parts or merchandise. Each Mean Green Buck is also valued at $1 towards the purchase of any new Mean Green Mowers’ WBX-33HD, Nemesis, ReVolt, Stalker, or CXR mowers.